On my early morning workout last weekend, I had to take a minute to take the exact shot of a quiet bench next to the Erie Canal that I have now taken every season. Enjoy. I can’t believe that this is the end of April…where did the time go? I have to admit, this past weekend, I did not do one bit of garden preparation/yard work. Instead, I decided to play all weekend with my daughter. My husband was really sick with a BAD stomach virus, so I wanted to keep the little one busy. 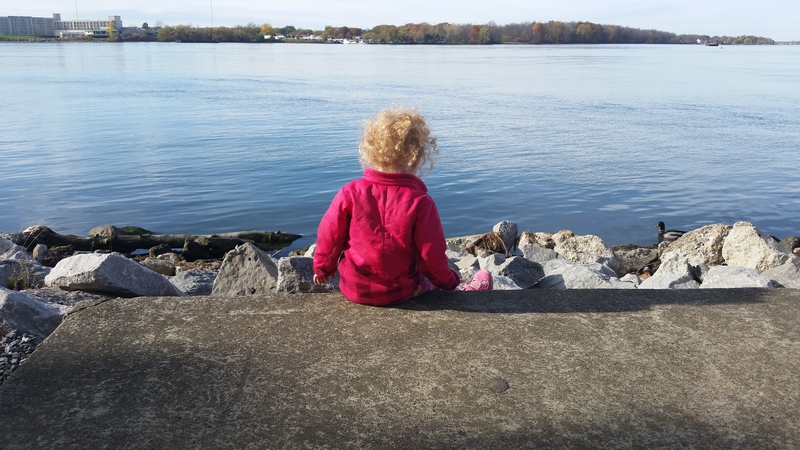 With a trip to the zoo, two consecutive stops at the playground and a nature walk, I kept her outside all weekend…and she slept well to boot! 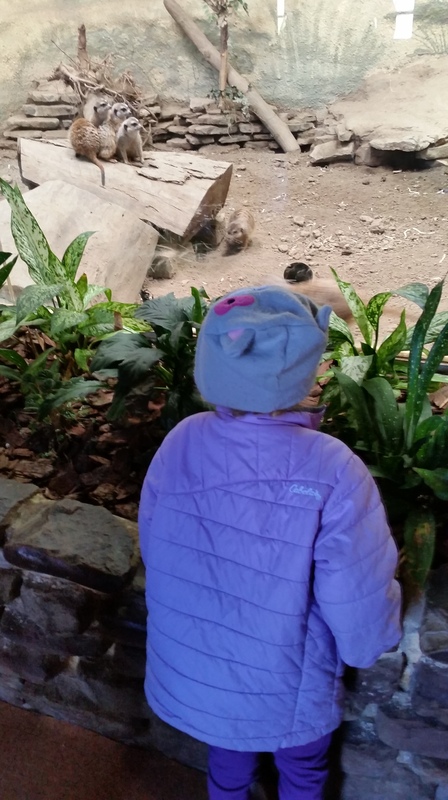 Meerkats at the zoo totally rock! 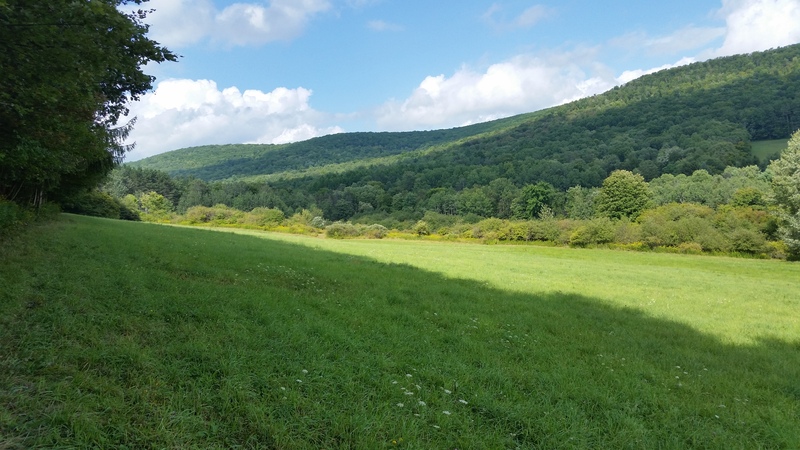 Well, I am really looking forward to this coming weekend–it’s going to be beautiful! I am probably going to do some last-minute stuff to the yard, and before you know it, it will be planting time! I can’t wait! So, what am I planting this year? Bleeding Hearts— they are a these stems of beautiful heart-shaped flowers that I hope will come up. I have purchased a package of three bulbs. I have wanted these for a long time, so I am really anxious to get them started! Astilbe— these fern like flowers come in many varieties, and somehow I got my hands on a package of very tall ones. I thought they looked neat, so I thought I would give them a shot. Cosmos— …except for my Cosmos seeds! I purchased another package, and this year, I have picked out pink and blue ones. They did really well, and I am anticipating this batch will do well, too! Sunflowers— because of tree roots, these are the only things that will grow on the one side of my garage, and they did wonderfully last year! They will always be in my yard, if my husband has anything to say about it! 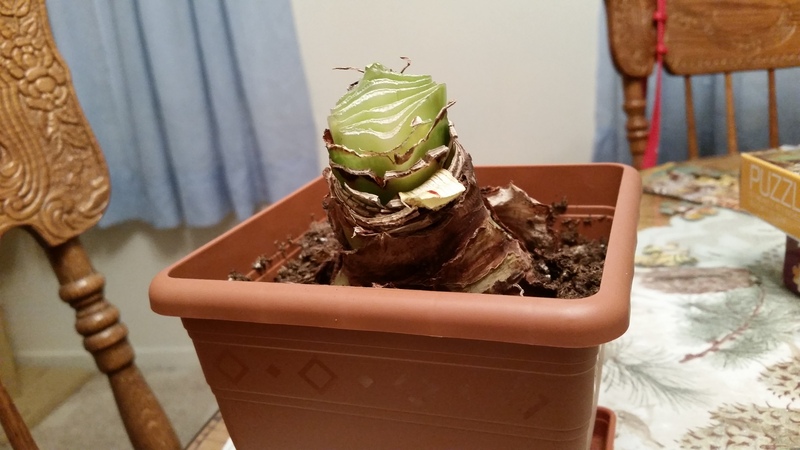 *And, a follow-up to a post I did in the winter in regards to that spent Amaryllis bulb from the holidays? Well, remember when I showed you how I butchered the darn thing when you shouldn’t cut the leaves off? The leaves grew back! I was thrilled! And they grew really fast! 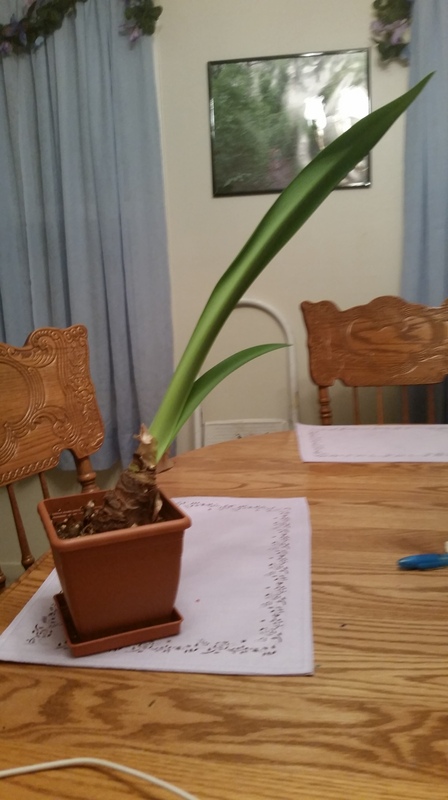 So, all is not lost should you accidentally cut all the leaves off of your Amaryllis bulb! And today! The leaves grew back! And now, for some exciting news! After much nudging from friends and co-workers, I have gone and done it. The Bent Trowel is now on Twitter! In case anyone is interested, my handle is @BentTrowel. My extremely kind and helpful co-worker (who happens to be my cubicle neighbor in the Marketing Department and Social Media Strategist for my company) has steered me in the right direction and given lots of advice to this technologically handicapped person! I have just started the account and have a lot to learn, but I feel this is very important to know. Social Media is very powerful, and here to stay. I have been slowly taking The Bent Trowel to the next level, and I think this is a good step forward. The twitter account will also go hand-in-hand with the planned expansion I would like to do with my blog. Of course, this will all take time, because, as many of you know, being a full-time working mother can be overwhelming, and trying to fit everything in seems impossible at times. The only time I do get to blog is when my daughter is sleeping, so I don’t get to play around with things on my site as much as I would like. There is a lot to learn, and with time, I know things will work out according. So, enjoy the week, and tune in next time for a regularly scheduled and (hopefully) informative blog post! In honor of Earth Day. Every day I am in awe of our amazing planet. Enjoy. 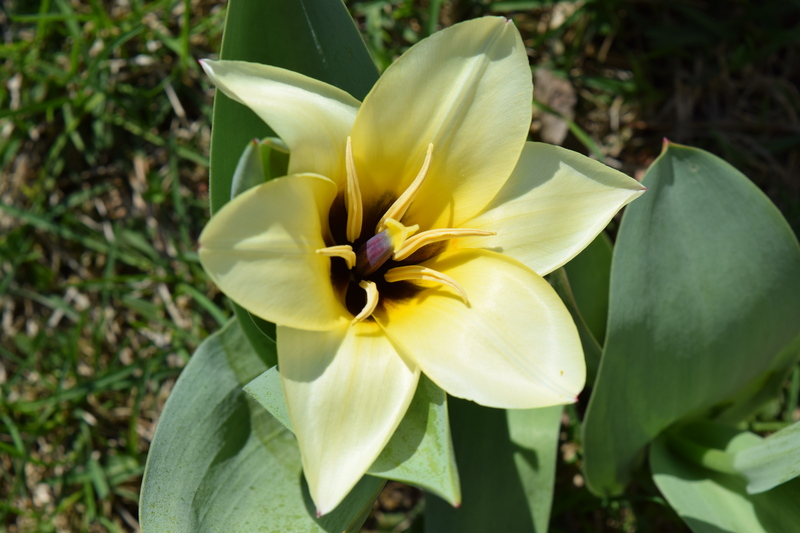 My first flower from the bulbs I planted a couple years ago! 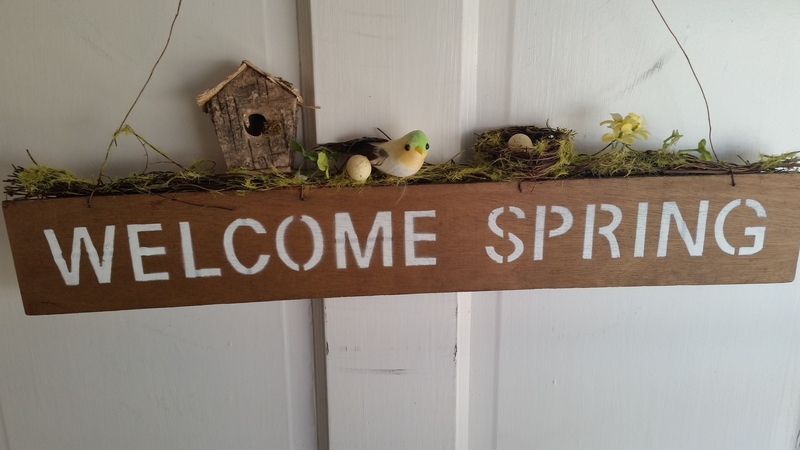 Spring has officially sprung! What a great weekend this has been! The sun is shining, its warm, and the Adirondack chairs have made their place out in my back yard! It’s been so great to get the raking done in the yard. I have been a “weekend warrior” of sorts, and now I am ready to crash! But before I do, I wanted to follow-up with where I left off when the snow really started to fly. Yes, our friends, the deer. In January, I explained how you keep them at bay during the winter, by covering up everything that means a lot to you in your garden. Now the spring/summer season is a little different. You don’t cover stuff in the warm months, so here is how you can keep your gardens looking super lush and beautiful, while your neighbors get all chewed up (true story hehe)…. 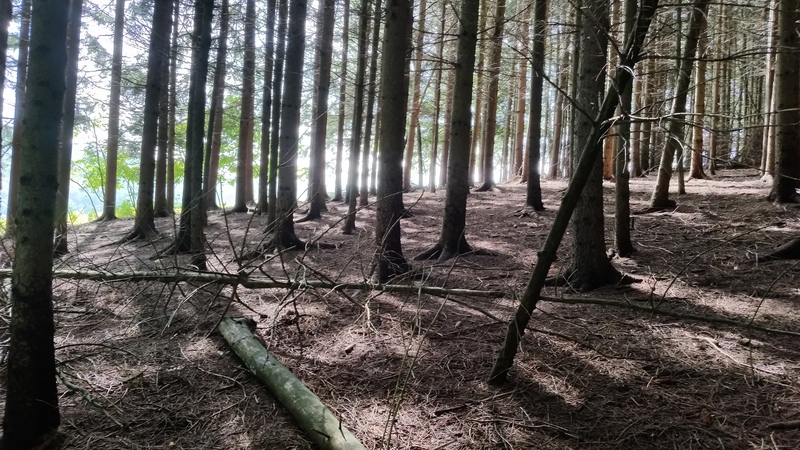 When I first started noticing that more and more deer were making their home in our neighborhood, particularly my yard, I needed to find out what I could do, without harming them, that would be a deterrent. So, I went to my neighborhood farm store and picked up a couple of different formulas: “Deer B Gone”, and “Liquid Fence”. Both were two different formulas that worked great. Deer B Gone is a formula of eggs and cinnamon and a couple of other spices, Liquid Fence contains eggs and smells awful at application, but once it dries, it does not stink. There is also blood meal, but that smells atrocious, and your neighbors don’t appreciate you much after applying that. No matter, these products work, and you should consider them as part of your “deer be gone” routine. However, when it’s the peak of the growing season, and you have lots of plants like I do, deer repellents such as these can end up costing you a fortune. One bottle of each of these formulas cost at least $15, and to make sure I covered everything I needed to, I could go through one bottle in just one evening! If you have a small garden, then buying natural solutions are the way to go for you. 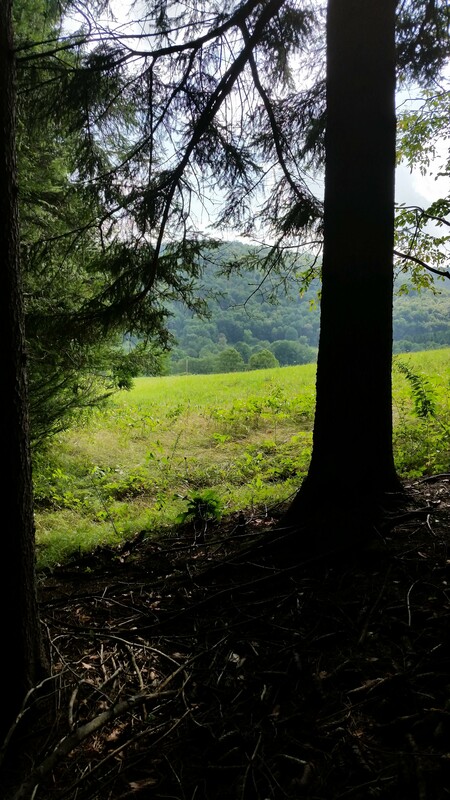 So, I was now on the hunt for a homemade deer repellent that was all natural and would save me lots of money. I just happened to be reading one of my gardening magazines that said eggs and water were all you needed. With a few other tips, you will have your neighbors jealous that your Hostas look great and theirs have been eaten down to the stem. Make sure your concoction STINKS — No, really, deer HATE stinky things. Eggs give off a scent that the deer absolutely hate. There are several different recipes that include different amounts of eggs and water, but this is the one I have been using, and I really don’t have an exact amount. I just make sure I have more water than egg in the solution so it goes on easy and doesn’t end up making a sticky, staining mess. And, it also doesn’t stink with it more parts water than egg. 1. 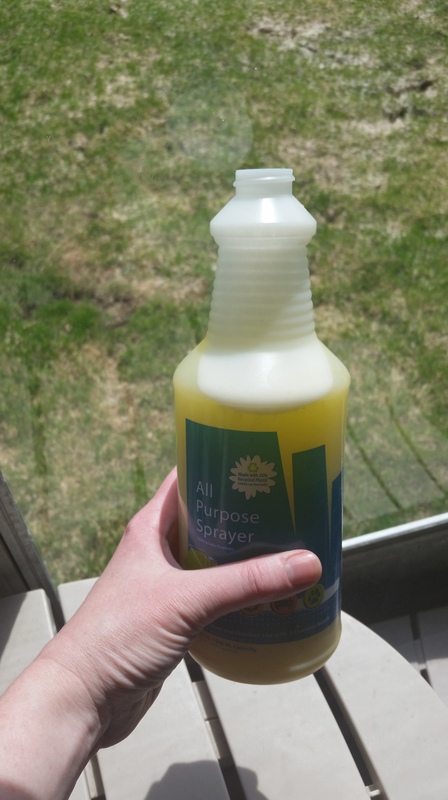 Purchase an empty utility spray bottle from the hardware store. My cat, again, always has to know what it going on. 2. 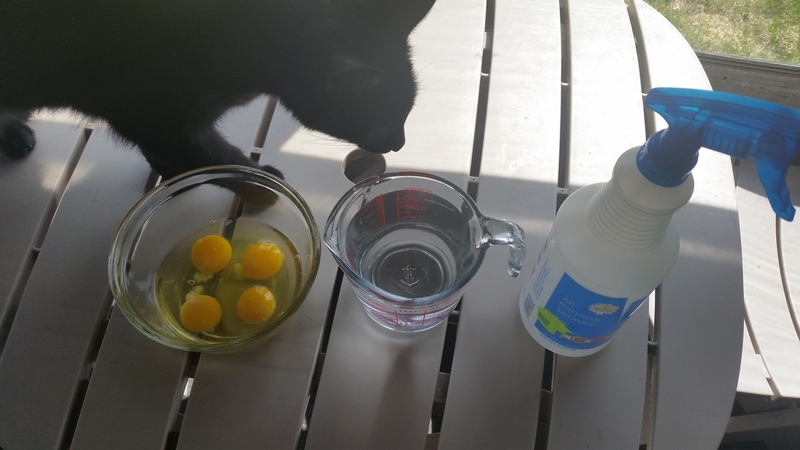 Get four eggs and a quart of water. 3. Mix them together with a blender. This is the best way to get a smooth mixture. -Deer get used to your routine. Try to change up your solution after a month or so. For example: I will go with just eggs and water for the first few weeks, and then I will put cloves in for the next month, and the cinnamon the next. -The peak of summer means you will be spraying your stuff A LOT. The faster the stuff grows, the more you must apply your solution. Again, this all varies, depending on how bad you have deer in your neighborhood. You may be just fine with a once a month application, whereas, for my neighborhood, I was doing it once a week for a little while. They usually stay away for a month or so after you spray. It’s a lot of work, but worth it to keep the garden you have invested so much time and money into looking wonderful for the whole growing season! 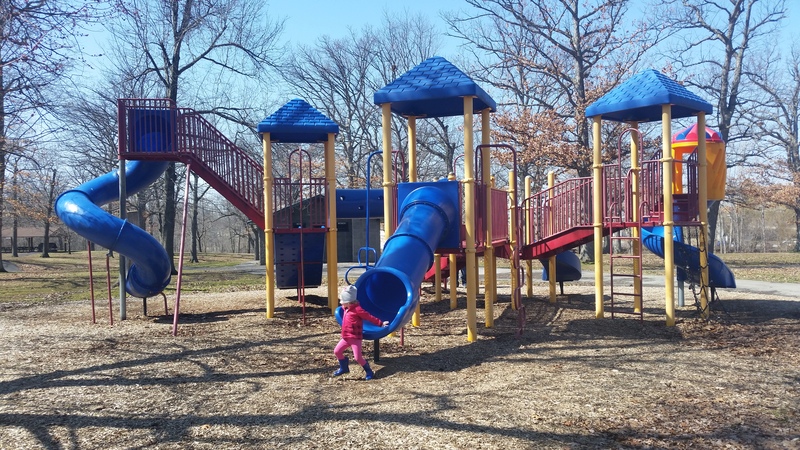 As I had mentioned in my Monday post, Sunday was our inaugural trip to the park. It was a beautiful day and we had so much fun! 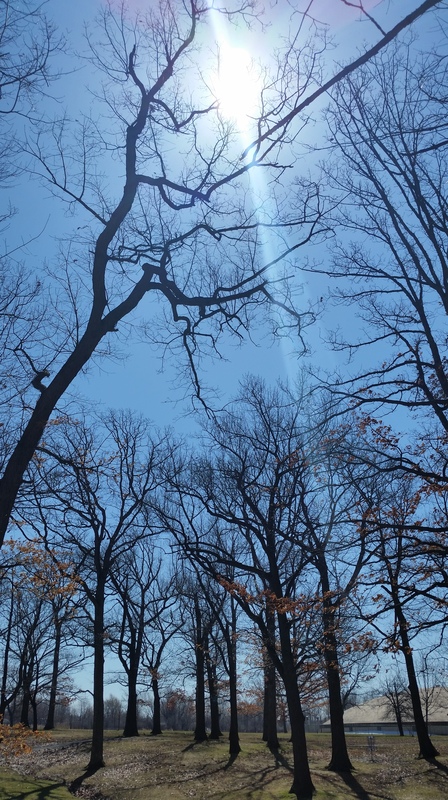 I just loved how the sun shone through the mighty oak trees in the park on this early spring afternoon, so I couldn’t help myself, I had to take a picture! Enjoy. What a wonderful Sunday it was! And today is even better! Western New York has been waiting a long time for this weather, and we aren’t wasting any time getting outside! I took my daughter on her inaugural trip to the playground yesterday, and ice cream after made it the perfect Sunday afternoon. I have heard everybody say that now that the weather is finally nice, they can actually take down their outdoor Christmas decorations! So sad, but true. The winter really kicked our butts! Now that winter is in the rear view mirror, we can look ahead to the warm weather and the great things that come with it. 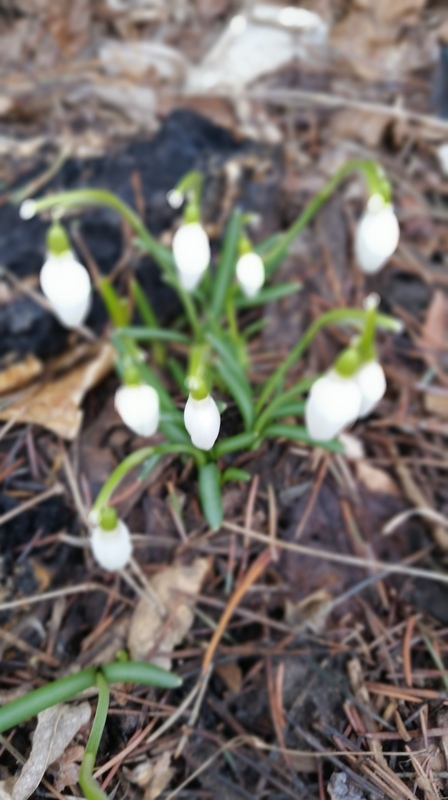 However, one thing that I don’t look forward to during the spring is taking a look at my flower beds and seeing the damage that winter and animals have done with it once the snow melts. So, I sucked it up yesterday and went out in my back yard, as well as the front yard. Overall, I am happy with the results. Some things I lost,which I had predicted and others have pleasantly surprised me. 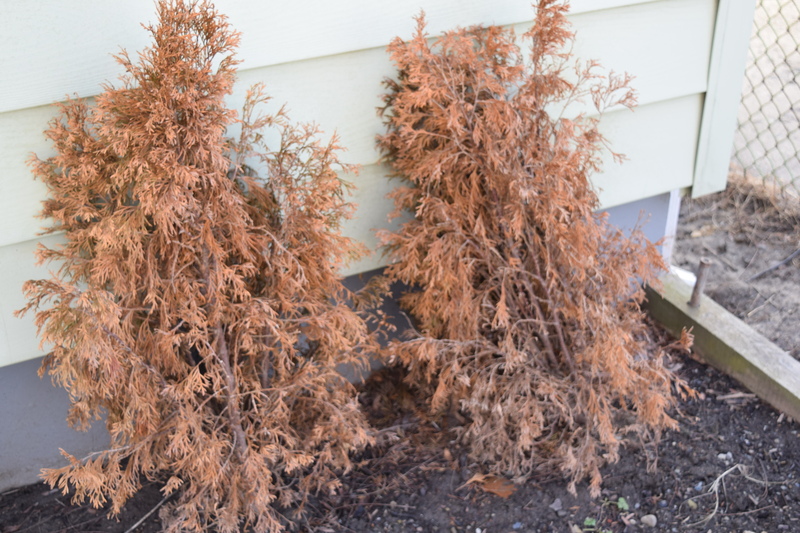 As I had mentioned last month, I knew my arborvitae had bitten the dust. Well, they did, fabulously. 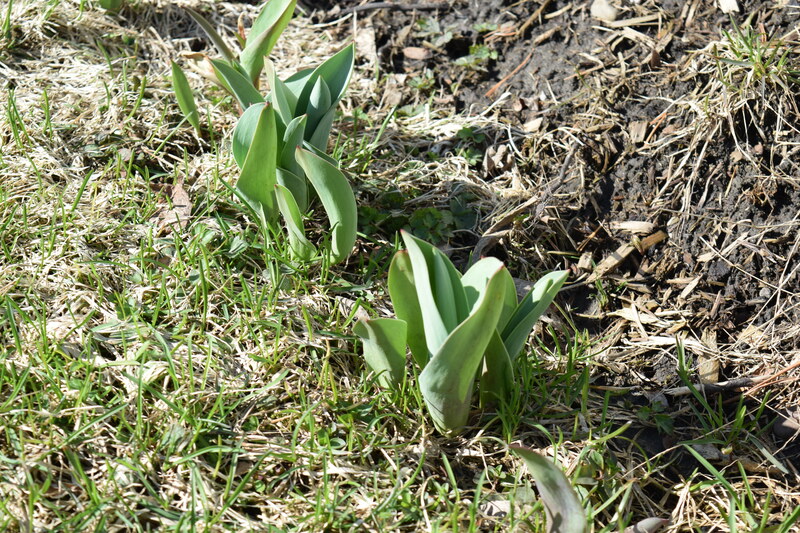 But despite this, there are signs of life everywhere, my tulips are coming up, and the Alliums I planted last fall. So, what am I going to do with the damage I found? I am going to ditch the arborvitae. In retrospect, it probably wasn’t the best location for those shrubs. I think I am going to get two more boxwood bushes that I already have next to the arborvitae now. 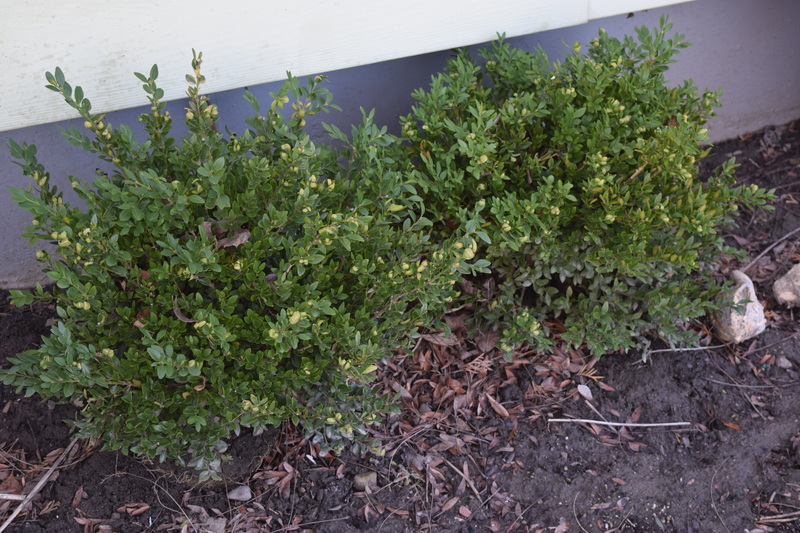 Boxwood are a very common shrub used for edges, borders, etc. You can trim and shape them to your liking. They have worked well for me, and continue to grow. So, boxwood it will be! Boxwood are commonly used for borders. The deer do not seem to bother these, which makes them even more ideal for your landscaping! 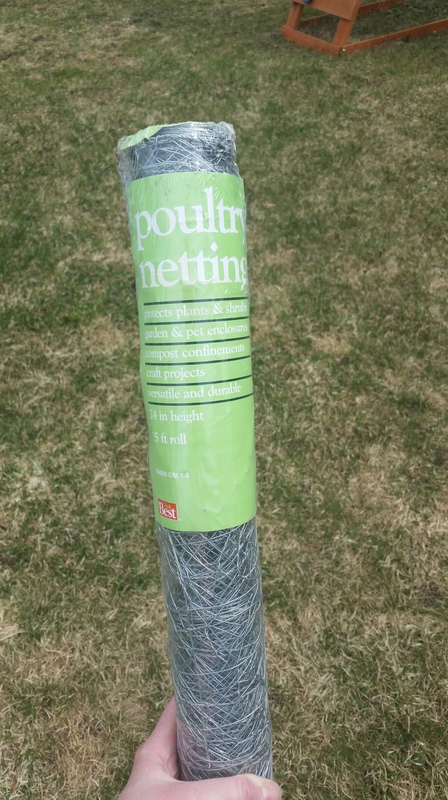 Chicken wire is a savior for plants when it comes to animals. In particular, deer. So, overall everything is coming along just fine. I planted a lot of new stuff last year, and it looks as though I will be seeing them again this year. I found some new bulbs and seeds that I am going to try this year as well, so I am crossing my fingers I will get something this year! How did your garden fair this winter season, even if you didn’t get any snow? What do you need to do in order to get your garden the way you want it? Time to assess your gardens before the growing season is in full swing! I hope everyone had a wonderful Easter! Mine was busy, with my daughter’s birthday in the mix, I was pretty tired after the whole thing and decided to take some time away from the computer to relax for a few days. I was sitting on the fence as to what I should be posting about today. I have a few posts I am working on and didn’t feel confident that I had them ready to post. Then a friend had contacted me today and told she bought some berry plants to put in her backyard and needed some advice. Voila! Now is the perfect time to talk about berries. And how yummy they are. And how wonderful it will be to go in your backyard and pick them and freeze them so you can taste a bit of summer in the sub-zero winter. And the best thing about it? It’s not hard to do, and they will grow like crazy. Ok, so here goes. For those of you who have forced your berry plants indoors, good for you! At this point in my life, I don’t have the time or space to do so, but, just maybe this could be an option for the future. Berries I will be talking about today are the most common ones. Last year, I purchased a raspberry plant for my husband, because he loves those berries. I bought just a gallon size in May of last year. I planted it, and you wouldn’t believe how fast it grew. And I even got a few berries! I was over the moon! I thought it was going to be really hard to grow. I am going to get a blackberry bush this year, because I pretty much eat those all the time now! It will be nice to have my own from the freezer! 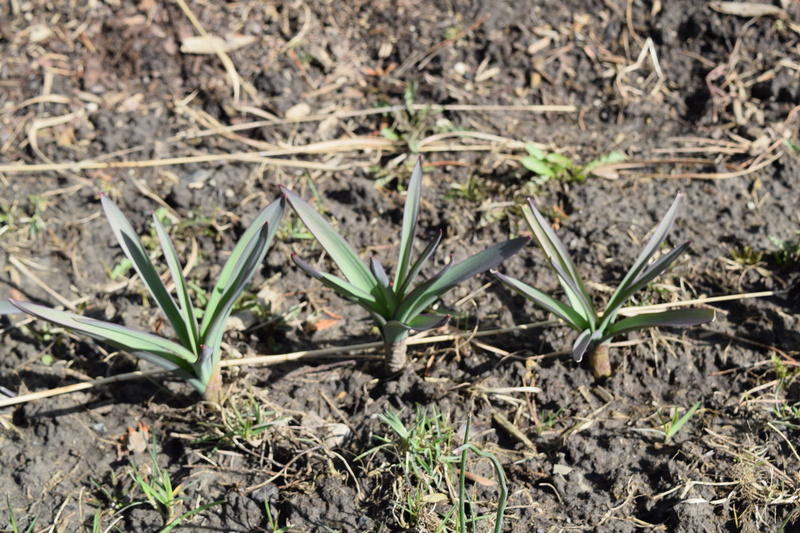 –Plant in early spring after the last freeze. Depending on where you live in the world, plant after the last freeze. – Make sure you plant them in full sun and WATER them like crazy. With any plant you put in the ground for the first time, you must water them a lot in order for them to establish. They are very easy to grown and will be multiplying before you know it. Even first year plants will give you fruit, like I have shown above! –Mulch the roots. I know after learning a little more about Raspberries, their roots don’t like the summer sun so much, so they like a mulch for protection. You could mulch your blackberry plants a little as well. Mulch is so important to all plants in your garden, especially during the dog days of summer, when moisture tends to get scarce and you are responsible for the watering when no rain is in the forecast. Plant in full sun and water. Wild strawberries grow amok around my parents house. Growing up, there was nothing better than finding tiny, wild strawberries in large, sun-filled hay fields and picking them before the first cutting of hay season. Sun and well-drained soil are all you need! –Plant in early spring, or late winter. –Blueberries require a little more effort. I left blueberries last for a reason. They tend to be a little harder to grow than all the rest. They are a little high maintenance. BUT, if you put in the effort, you will have big, beautiful blueberry bushes that will last for years and years. My parents planted a row of several blueberry bushes in 2007, and it took a little while for them to establish and start producing berries. You will need to, eventually, stake them, because they get so big and heavy. Be ready to have a trellis, stakes or some support system when planting blueberries. –They like acid. Blueberries need slightly more acidic soil than other berries. 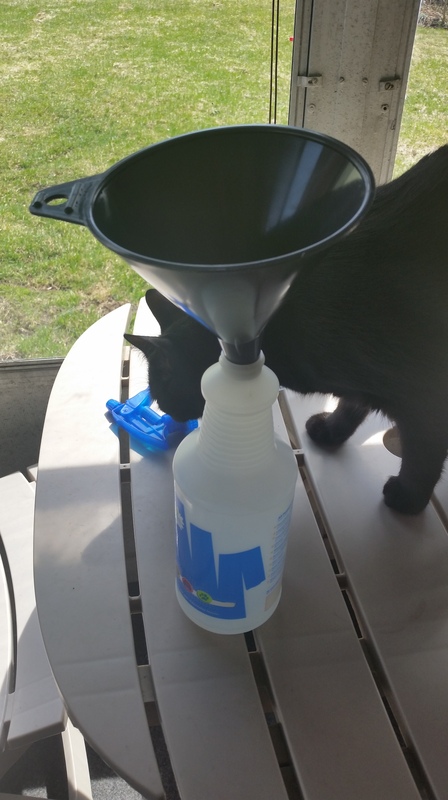 If you are having issues with getting your blueberries to grow, this may be the reason and there are many different fertilizers, compost, etc. that you can use to help change the pH in your soil to get your blueberries growing. –Don’t forget sunshine and water. Isn’t that a saying? All you need is sunshine and water? I love it! 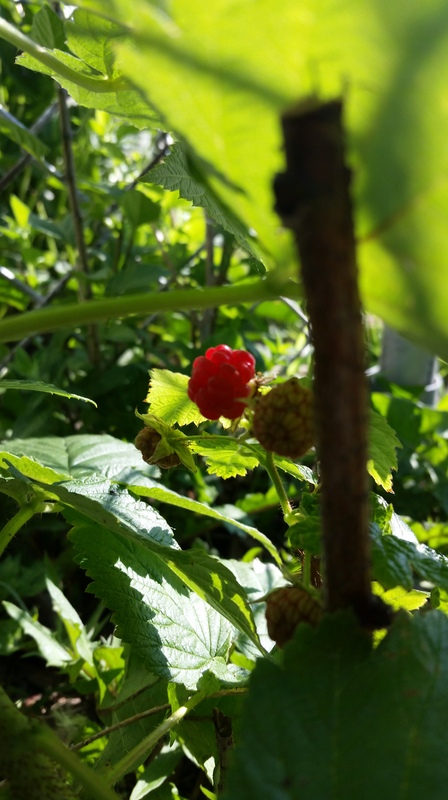 *Note for all berries– even though I explained it for blueberries, you may need to stake your raspberries and blackberries with a trellis or support system of some sort. They get very big and bushy. You can prune your berry bushes in late winter/early spring. It’s good for growth to give ’em a haircut once in a while. So, until next time, have a “berry” nice day! Sorry, I can’t help myself sometimes. It was no joke four years ago today, when my due date had come and gone. Yet, I still had no idea how a tiny little human being would change my life forever. This Easter weekend, my daughter turns the big 4. It’s true when they say that time flies when you have children. It is by far the hardest job I have ever had. But I wouldn’t trade it for anything in the world. I have grown as a human being in ways I can’t even begin to describe. Have a great Easter weekend. Enjoy.